There’s two ways of looking at this task. You can either blow out everything on your vision board and start over, or you can edit out what no longer fits. Then you can add it in new ideas. Making goals is meaningless if we don’t do the follow-up work. For example, one of my goals this year was to read every Diane Stein book I could get my hands on so that I could deepen my energy healing practice. I got my hands on a lot of her books and have read a little of each one. But I have yet to reach my goal of reading them all in 2017 — and there’s mere days of this year left! So guess what I am going to be spending more time on? Reading Stein! Ideally, I will now place something on my vision board to remind me to read Stein. She’s someone I got into when learning Reiki II, so I know learning more of what she offers will help me as a Reiki Master and Coach. Your vision board can be a reboot like this so you can remind yourself to accomplish things you haven’t yet. You don’t need to make yourself feel bad over what’s hit the back burner. If you haven’t looked at your board in a while, you may be surprised to see what’s come to pass from it. Earlier this year, I took something off my board because I became frustrated with wanting it. I knew I needed to let go of it — the idea and the frustration around it. A few months after removing it from my vision board and therefore letting it go — it happened. Nature abhors a vacuum. Sometimes, editing the board can be empowering. Most importantly, the board makes you take time to look at yourself. Take the time to look at what your priorities are today and make sure your vision board reflects it. Think of what you value the most. Do you have something to symbolize those values on your board? What are your deepest desires? Post them up on that board! Use this as an exercise to get real with yourself. Get to know yourself better. 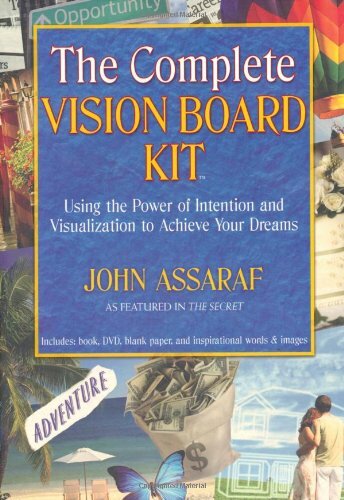 Create a the list of what can go on a basic vision board right now. I’ve had clients make one giant board or separate boards for each area of their life. There is no wrong way to do it. Just have fun! 4. A change in habit. Want more exercise? Post a photo that reminds you of your desired fitness. Want more nutrition? Post a photo of a green smoothie. 5. Your ideal future. Be it. Feel it as if you already have it. If your goal is to get done with law school and join a firm, find a photo of the exact firm you want to work for. Find a photo of the building it’s in, the logo or the street it is on. Imagine yourself in the suit you’d wear the first day of work there — post that suit on your vision board. Post a photo of your briefcase you use for your files. Where do you eat lunch when you work at that firm? Post a pic of that restaurant. Do it in color and be specific! The key is to be detailed. If I’m a freshman in college, and my long-term goal is to become a medical doctor, I’m going to be very specific and detailed in my vision board. I’m going to put stellar exam scores up. I’m going to put up the logo of the hospital where I desire to do my residency. I’m going to put the white coat and stethoscope on there. I’m going to go so far as to create my name plate, “So-and-So., M.D.,” and put that on my board. Really think it out. Daydream it! But the most important thing is to feel it like you already have it. Put yourself in your future shoes of success. How do you dress? What do you eat? What do you drive? Who are you serving? How much money are you making? What do you do with that money? Most importantly — how does it feel? That med student may take a vacation to work with Doctors Without Borders in Haiti. That Sedona yoga teacher’s dream vacation is probably going to a retreat in Tulum and she wears Lululemon. That lawyer probably shops at Banana Republic and takes vacations to London. But enough about other people’s vision boards — go make your own. Visit my Facebook Vision Boarding group for more inspiration.